We just wrapped up our second of three Winning Moves Games giveaways for the holidays. Our final giveaway is for FOUR games from their 2016 collection. 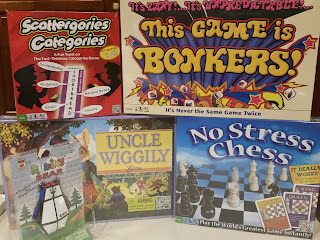 If you're not familiar with Winning Moves Games,they have a close relationship with one of the world's largest game companies, Hasbro, Inc., owner of Parker Brothers and Milton Bradley. In addition, they have a great relationship with Seven Towns, Ltd. (the owners of the Rubik's brand). As a result, many long-lived Parker Brothers and Milton Bradley games & Rubik's puzzles are now marketed by Winning Moves Games! And thus, we bring those games to you in our giveaway. Recommended for the 12 and over crowd, it is a fun game to play for the family with older children. Upwords is a 3-dimensional word game like Scrabble. Besides just spelling out words on the game board, you can stack up letters upwards to make new words to replace existing ones on the board. If the kids like word games, this could be a good one for you. However, not everyone thinks in 3D. 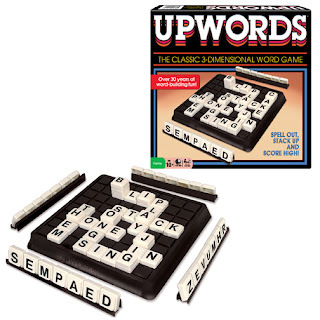 Upwords. I love playing word games. Although any of these games would be great. I would choose; Scattergories® Categories, Scrabble® To Go™, This Game Is Bonkers!™ and Ant Farm. 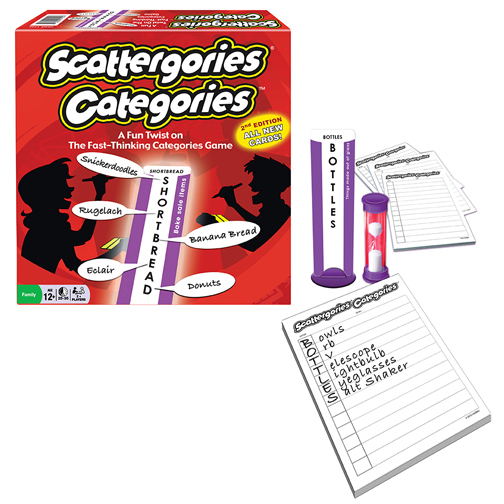 I would get Scattergories® Categories, Candy Land®, Classic Chutes And Ladders®, and Scrabble® To Go™. Uncle Milton's Ant Farm, This Game Is Bonkers, Moose Caboose, and Pass the pig's. Those are my favs from the 2016 collection. Trouble, chutes and ladders, candy land , for me and my daughter.. If I won I would get Scattergories Categories, Classic Yahtzee. Monopoly: The Mega Edition & Tile Lock Super Scrabble. I'd get candy land, water works, moose caboose, and brainspin. I would choose Scrabble to go, I would pick upwords and Scattergories and Pass the pig. I would get boggle, scrabble, scattergories and upwords. ould get boggle, scrabble, scattergories and upwords. Such a hard choice LOL I guess I would choose Brynk, Candyland, Chutes and Ladders and Moose caboose. I would get Brynk, Candy Land, Brainspin and Classic Chutes and Ladders. I would get This Game Is Bonkers, Classic Waterworks, Brynk, and Scrabble To Go. I would choose Rubiks cube key chain, Trouble, Pass the Pig and Crocodile Dentist. I think my kids would like Brynk, Upwords, Pass the pigs, and Moose Caboose. I'd get a Rubik's® Key Ring because I had one as a kid, Upwords, Brain Spin, and Scattergories Categories. I would choose Upwords, Scattergories Categories, Scrabble To Go, and Rubik's Key Ring. I'd be thrilled to play these games over the holiday with family.